Our Company Blog with Insights For You! 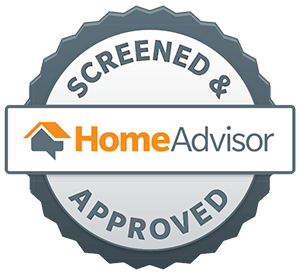 Read about the latest company updates and tips from flooring professionals. 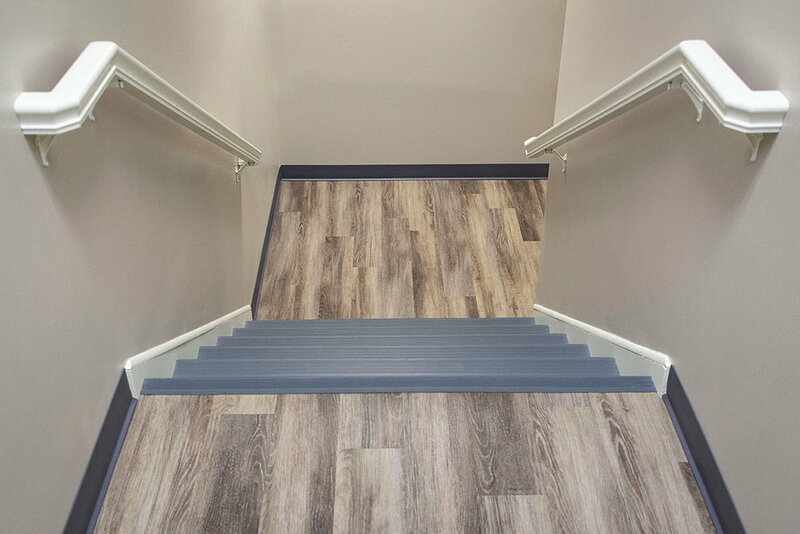 In the summer of 2018, New Holland Transport (NHT), temperature controlled trucking and cold storage warehouse, completed their new facility in Denver, PA. We had the privilege of providing flooring for their project, installing tile, carpet, and vinyl in several rooms and spaces. Here are some shots with details about the work and specific products! For the stairs, Josh Plank, our lead flooring technician, installed Roppe Heavy Duty round nose treads and risers in steel blue. The treads are constructed of a highly durable rubber with a raised design. These treads are going to last a long time and look great! For more detailed information on this product, check out Roppe’s site. Great choice, NHT! Upstairs, we installed some more Armstrong Parallel 20 LVP and a backsplash. The tile used in the backsplash was a 6” x 6” tile by Vallelunga in style Pietra Romana and color Grigio. For grout, we used Laticrete Spectralock Epoxy grout in light pewter. In terms of stain prevention and durability, epoxy grout is excellent and outperforms all other types of grout. For more information about the grout, visit Laticrete’s site. 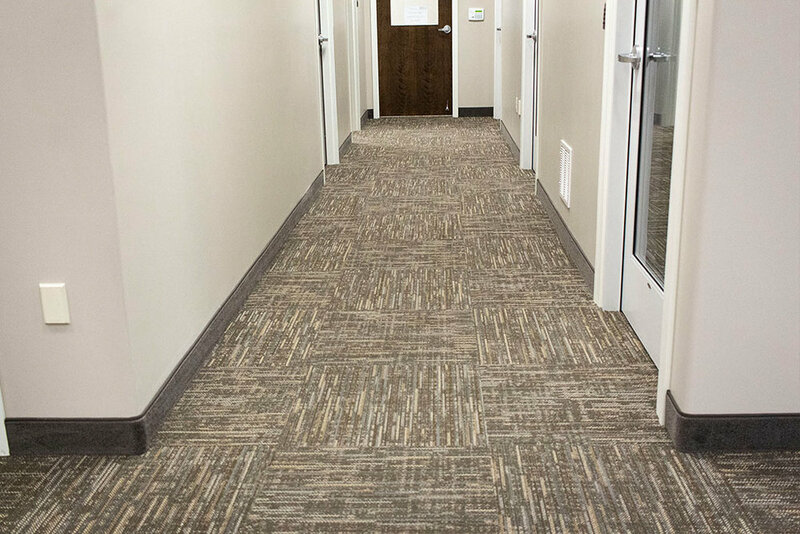 The carpet tile installed is a Philadelphia Commercial product in color “Embrace Courage”. 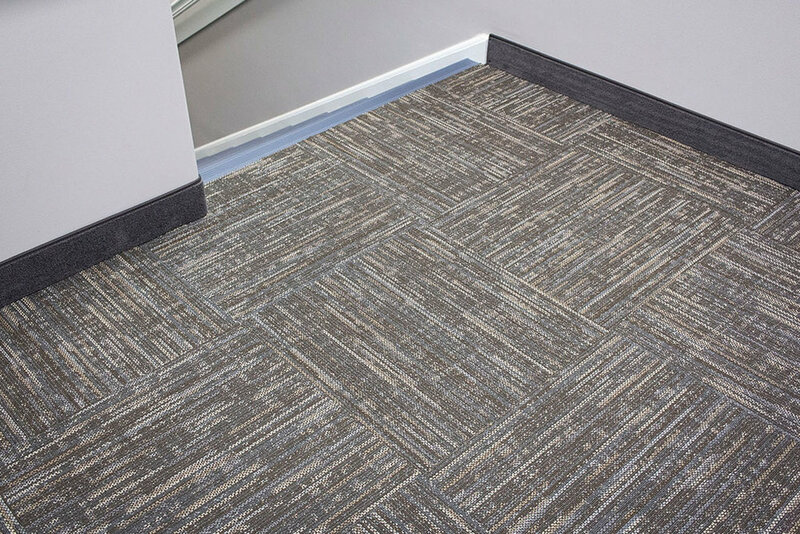 The 4.5” carpet base installed is also a Philadelphia Commercial product in their Emphatic II 30 style line in color Weather Vane. Who knew you could use carpet as baseboard? 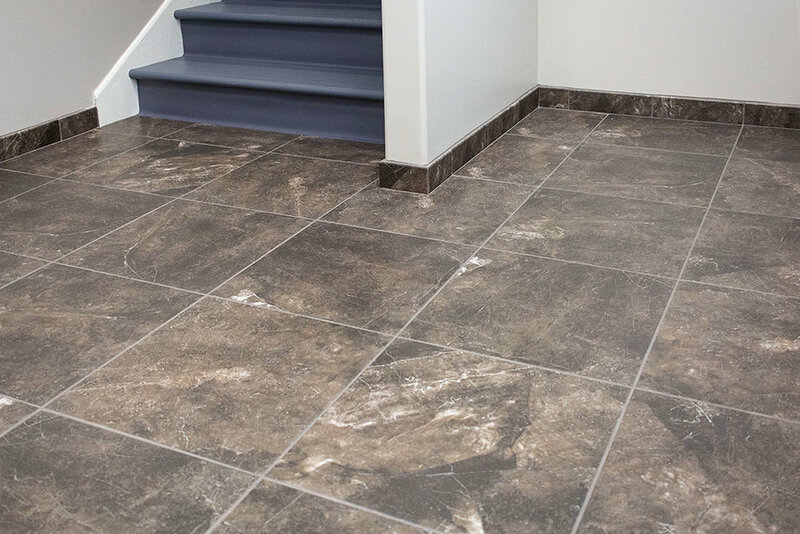 On the floors in the downstairs break room, bathrooms, and at the foot of the stairs is a tile from American Olean (AO) style Bevalo measuring 18” x 18” in color Charcoal grouted with Laticrete Spectralock Epoxy color Natural Grey. The tile base was the same style and color tile from AO measuring 3” x 12”. A durable tile that will serve them well! On the walls in the bathrooms, we installed a Marazzi tile style San Savino measuring 12” x 24” with the same Natural Grey Spectralock grout. Finishing the top row of tile is a bullnose tile. Tile can be set in a number of different ways. 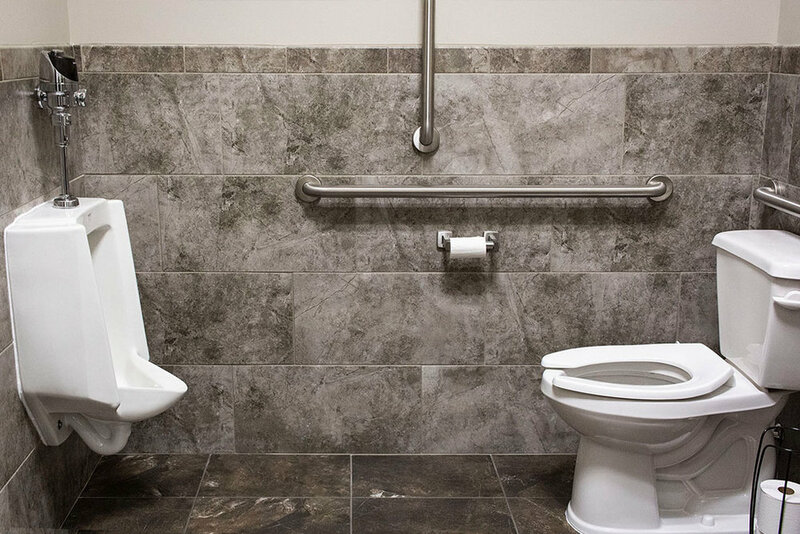 NHT chose a brick set pattern for the wall tile and straight-lay pattern for the floor. Thanks for reading and thank you NHT for the privilege of providing you with quality flooring solutions for your new space!